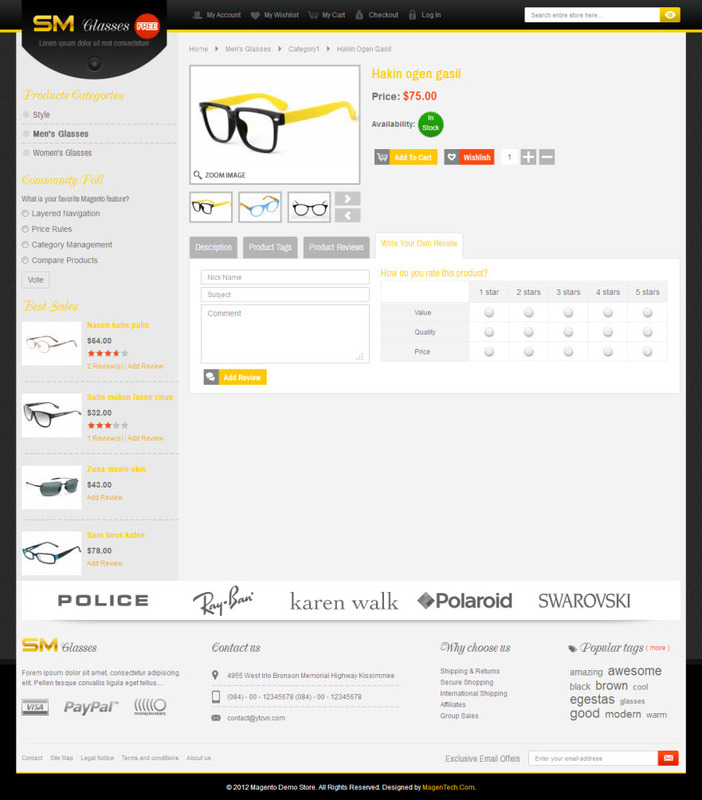 With CSS3 to show many animated effects, and Cloud Zoom help to display products. It is one of the most important ways to attract customer. 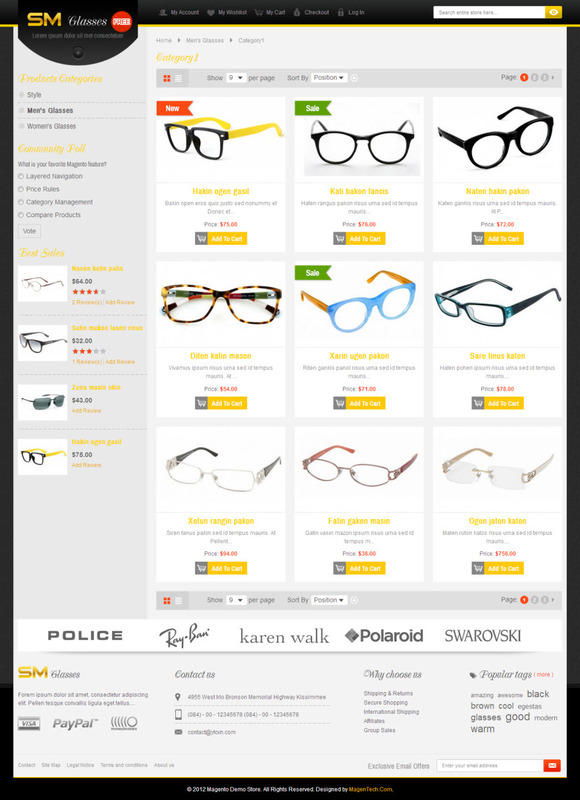 In addition, SM Glasses free includes two types of menu: CSS Menu, Split Menu and other features will give you more choice. 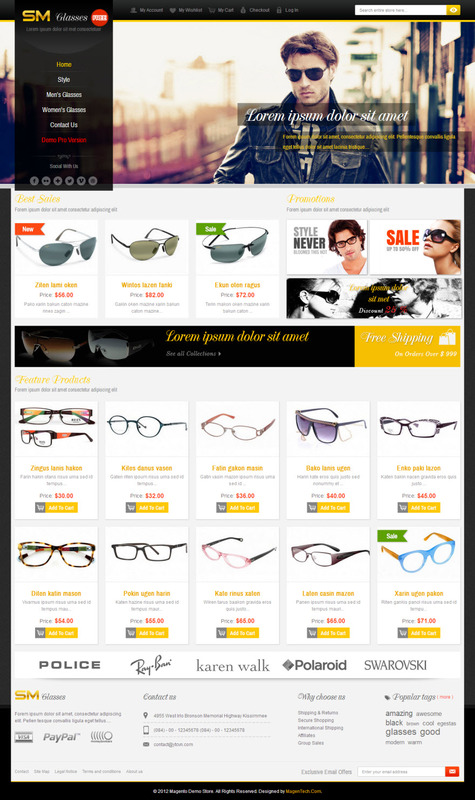 This theme is easy to customize, even if you are new to Magento, Let view our Demo to feel more! 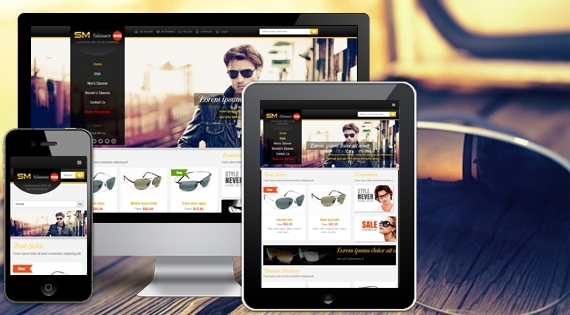 With Free version, you are limited features, with Pro version, you are easy to configure the theme via Cpanel and Admin. You can get all of free modules which we uses for the demo.